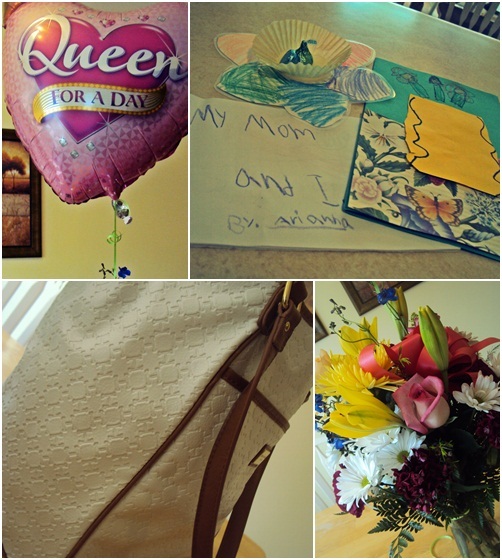 Babblings of a Mommy: Queen For A Day! Luckily we convinced her to put it down when we made our way to my in-laws and then headed over to Don Coqui's. After a loooooong wait, we finally got down to business! The food was delicious but we had to cut our night short because my poor baby got sick. She wasn't feeling well and she had a really bad earache. We called it an early night and got her to bed, but thanks to the hubz, my in-laws, and my baby girl I had an amazing mother's day!! Happy Mother's Day! I had a great day too. Love spending it with family! Happy Mother's Day!!! Spent my day with family as well.